Actor Nani – अभिनेता नानी Naveen Babu Ghanta is referred to as Nani. He is an Indian actor working in Telugu films predominantly and also has appeared even in some Tamil films. Get to know detailed info about Actor Nani from here. 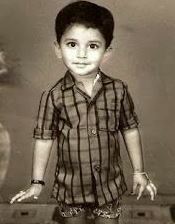 Actor Nani was born in Hyderabad. His parents are Rambabu and Vijayalakshmi Ghanta. His sister is Deepthi Ghanta. He completed schooling from St. Alphonsus School, Hyderabad as well as his intermediate done in Narayana College located in SR Nagar. He graduated from Wesley’s college and during these days, he addicted to movies. Nani highly influenced by Maniratnams movies. He watched Dalapathy film several times. Nani age is 34 and he was born on 24 February 1984. 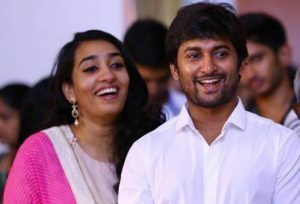 Nani wife is Anjana Yelavarthy and also he got engaged to her in August 2012 and they got married on 2nd October 2012. They were in love for 5 years Nani’s son was born in the year 2017 on 29th March. Actor Nani caste is Kamma. He initiated his career as an assistant director and also started working with Bapu and also Srinu Vaitla. Later, he joined as an RJ in Hyderabad for World Space Satellite. His acting career began as Mohan Krishna Indraganti, the film director noticed him in an advertisement. Mohan Krishan, the director offered him a lead role in Ashta Chamma, starring Swati Reddy. Ashta Chamma was well received and Nani’s performance was praised. He also won the State Best Actor Nandi Award for Yeto Vellipoyindhi Manasu. 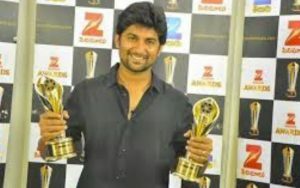 He also got for Bhale Bhale Magadivoy, the Filmfare Best Actor South Critics Award. There is a special craze in the USA Telugu audience for him and recently for ‘Eega’, he joined with Gautham Menon and also Rajamouli. He has almost worked with most of the directors. On the work front, Nani is right now shooting for, Krishnarjuna Yudham, his upcoming film in which he has dual roles. Middle-class Abbayi was his previous film and was well received that he did with costarred Sai Pallavi. Nani reached to new heights after appearing in “Pilla Zamindar” and “Eaga.” Then there was a series of flop and also he returned a bang in “Bhale Bhale Magadivoy” in 2015, portraying a distracted scientist character. 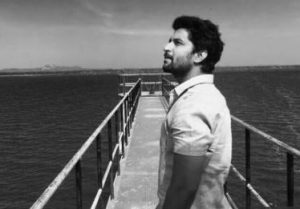 He again emerged with “Krishna Gaadi Veera Prema Gaadha”, “Nenu Local”, “Gentleman”, “Ninnu Kori.” and “MCA”. Nani has given powerful performances and it received with much appreciation all through his career. He owns several recognitions and awards. Some notables include Nandi Awards, Filmfare Awards South, SIIMA, and also Vijay Awards.